I am an emotional person, I can be a closed book, reserved and self conscious but if you really know me I am sentimental and wear my heart on my sleeve about a lot of things. This is even more true since having children and as it probably shows on this blog with the things I like to record and remember to relive in time, I can get super emotional about the smallest of ordinary things when it comes to my little ladies and our lives together. 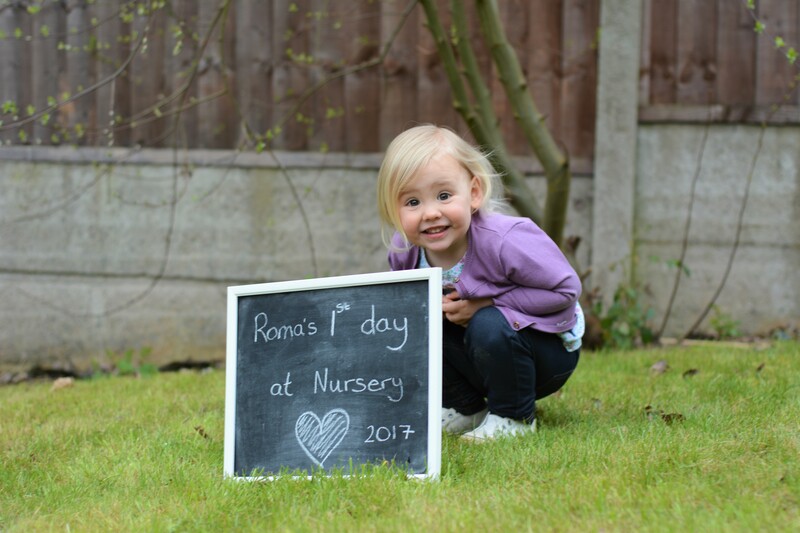 It has been a crazy emotional week here as on Tuesday Roma had her very first day at nursery. Leading up to it I have been so so emotional about it, so conflicted in my decision and despite visiting the nursery, loving it and knowing it was the right choice for both me and most importantly for Roma (whom has asked to go for so long now) a part of me just didn’t want this bit of our lives to end. Which is crazy really because all I ever want is time and space, maybe I kind of just wish I could freeze time to get that though and not have to have someone else care for her. I know that I am lucky it is a choice that she goes at all and it isn’t because I feel uncomfortable about it, just a little bit sad that this time has come already. It feels like such a mix of emotions all rolled into one. And such a big change for me. 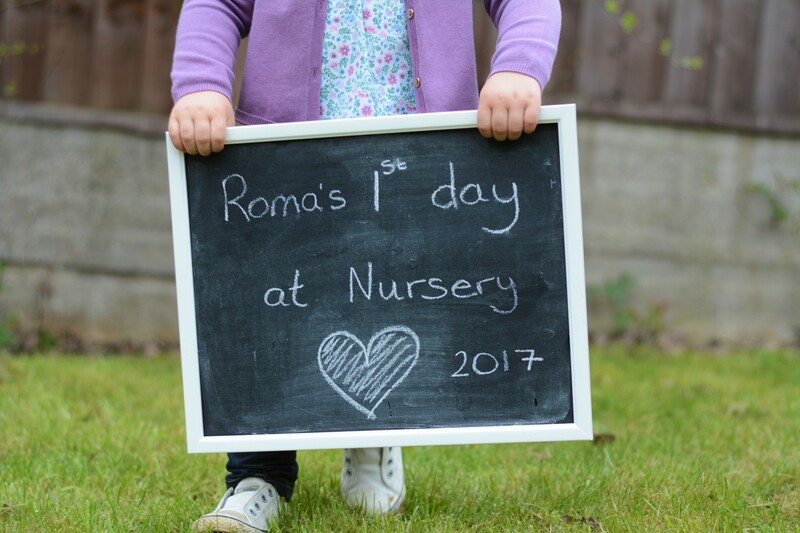 But for Roma, she just takes it all in her stride and was so excited. After the usual Tuesday drop off at school we drove the few minutes to nursery in silence, we crossed over the little bridge, made the turning into the long road leading to the lovely stone building with beautiful welcoming flowers and friendly faces of other parents walking confidently to and from the door which was oh so familiar to them and oh so new to us. As we sat in the car outside a small part of me couldn’t bring myself to get her out. I couldn’t bring myself to start on this journey and say goodbye to the baby days for good. As we walked to the door she had the biggest smile on her face clutching my fingers with one hand and her rabbit with the other. The lady whom Roma has met only once opened the door with a smile and Roma immediately asked “can I play with the babies please?” And I knew that was it. She chatted as she passed the preschool children, confidently entered the room of 4 other little ones without batting and eyelid gathering a baby car seat along the way. I stood and watched as the lady took her coat off and collected her bag, I stroked her head for comfort (mine not hers) and wondered what to do next, she didn’t even flinch. She didn’t wave, she didn’t say goodbye, she didn’t even look round, she didn’t need to. She played happily and was so engrossed that with a pain in my heart and feeling like a part of me was missing I walked out of that building looking back more times that I could count. I hesitated at the door, at the end of the path, as I got into the car at what exactly was the right thing to do now. I should probably distract myself, do something fun, catch up with friends, but I just wanted to go home. On the way I cried buckets, I saw the empty car seat and all I wanted to do was to turn around and pick her up. My motherhood emotions just flooded in yet I knew she was absolutely fine. Not only fine but having fun. I knew that this was for her more so even than for me and I was telling myself it is only 1 day a week. 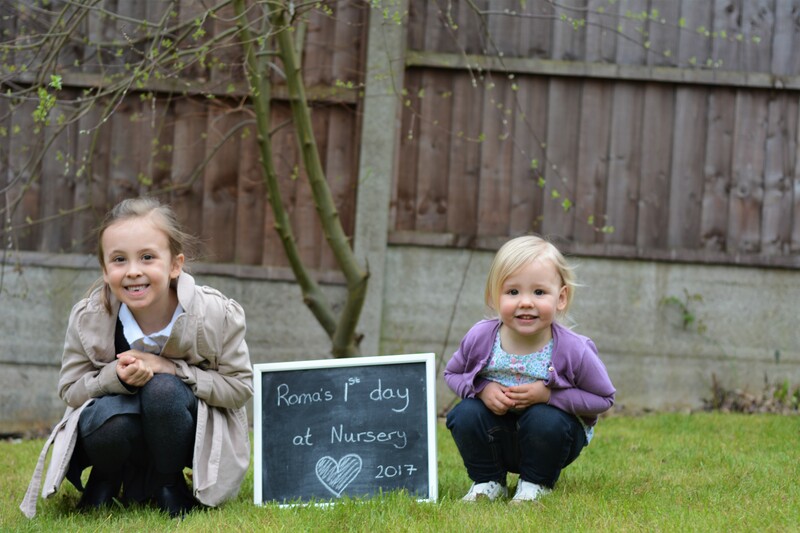 I guess it just feels like that is it, knowing how fast those years go before they start school now feels like maybe we are on that track, hurtling towards it and truthfully I am not ready for that. I am so happy that she is happy and content, so proud that she has no insecurities of me leaving and that she just knows that I will be there. But having had Eva cry for me every time I dropped her off for so long when she was this age it just feels a little alien, and a part of me wants her to want me, or to show it at least! I know that’s ridiculous and I would definitely be distraught at the thought of leaving a crying child too, so inside I know it’s the better of the two options and I will get used to it, it’s just so pulling on the heart strings right now! In truth I didn’t get much done that day, I flitted from one thing to another trying not to cry and feeling the pressure to make the most of it whilst really just waiting for the time to come when Eddy would bring her back safely. Come 5.30pm as the rain fell against the window I sat staring out for them to pull on the drive. 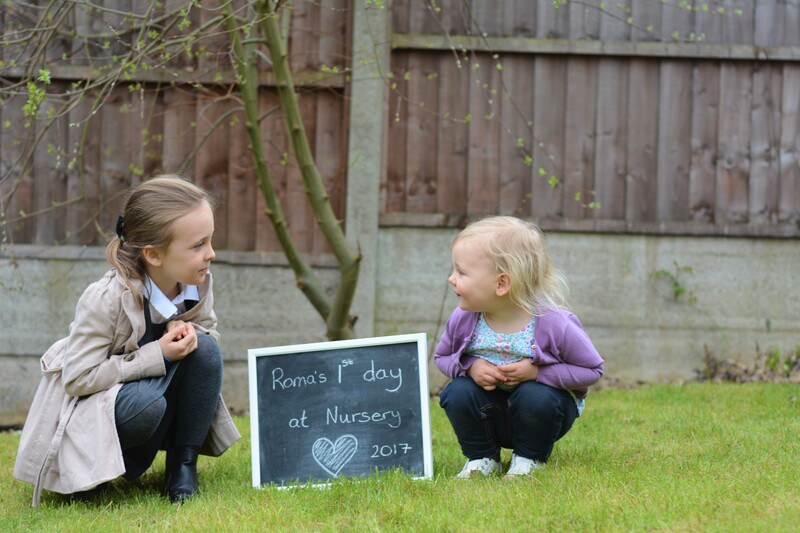 I did think, worry actually, that my confident little one might just come in and be like ‘oh hello’, run right past me and play or talk to her sister. To my delight though she ran straight in, handed me a beautiful robot picture she had made and crawled up on my knee and into my arms. We had the longest most beautiful and much needed cuddle I think I have probably ever had from her. The anxieties of the day melted away as she held on tight and other than the little breaks she would take to ask if I was ok and wipe my tears we stayed there crouched on the hall floor for ages, the front door was still wide open and it finally felt like home again. She’d had a good day, she had apparently been a superstar with no issues at all and as the words Eddy were saying echoed around me all I could think was how far we had come, how fast those two years had gone and how much of a hurry she has always been to grow up. 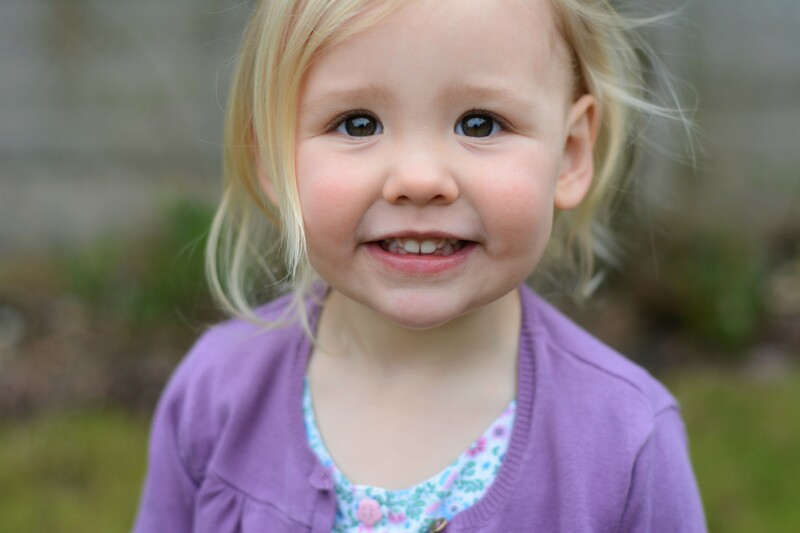 She is confident and kind, she is funny and loving, she is the very best two year old I know. I may now have a big two year old nursery girl but I know that these next few years before school are going to be the most precious ones for me to soak up, to appreciate the nursery day to get as much done as I possibly can, to appreciate the bedtime cuddles as the enormity of the day creeps in and she cannot keep her eyes open long enough for that much wanted second story and use the rest of the days to soak up every last moment. 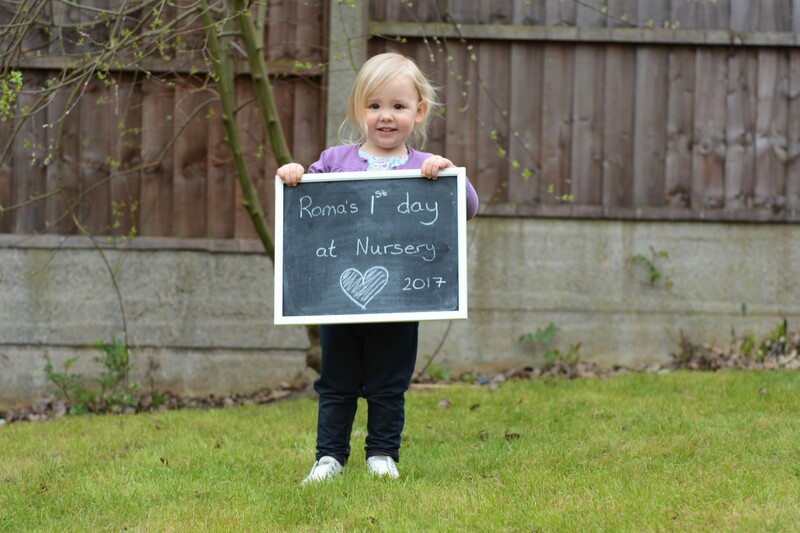 Well done on your first day baby girl, Mummy may still be unsure about the whole situation right now but I will get there, with your help. I am so proud of you, thank you for being amazing, thank you for being mine, thank you for being you. Being the sentimental memory maker as I am I actually vlogged aswell and have added the little day in the life video with a montage of the last few years that makes me cry every time I watch it! Oh I totally understand the conflicting emotions! Seeing them get on so well and growing up makes you so proud but it’s so heartbreaking at the same time. Max has his first ‘proper’ day in pre-school this week and I can’t believe my baby is ready for that! He’s been having settling in sessions for over a month and apparently loves it, but I still feel he’s just so tiny for pre-school! Oh I can definitely see where u are coming from I am starting to think about putting Blake into pre-school but have mixed emotions about it all. 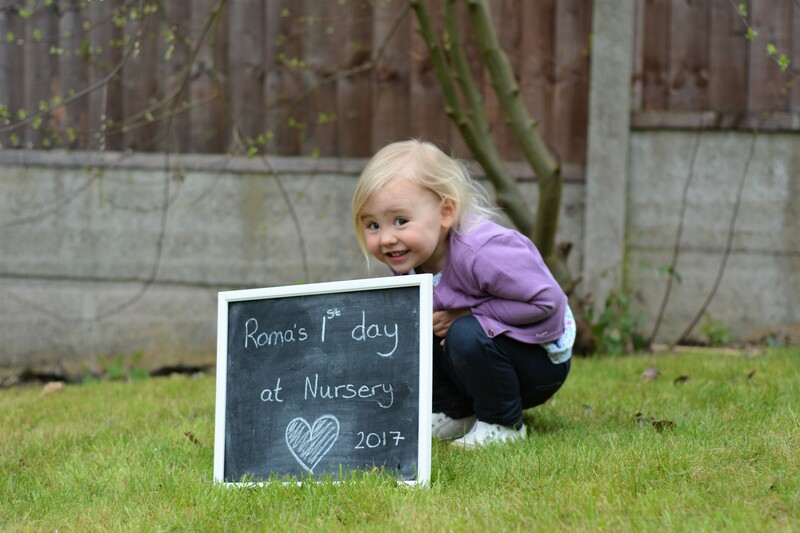 Beautiful photos and video, it will be lovely to look back on when shes older. 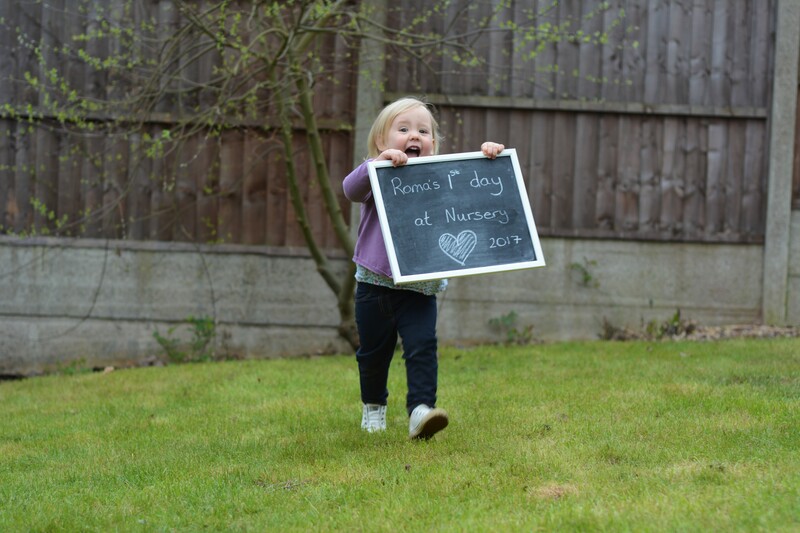 They grow so fast, and nursery is such a big step, she looks like shes taking it all in her stride! 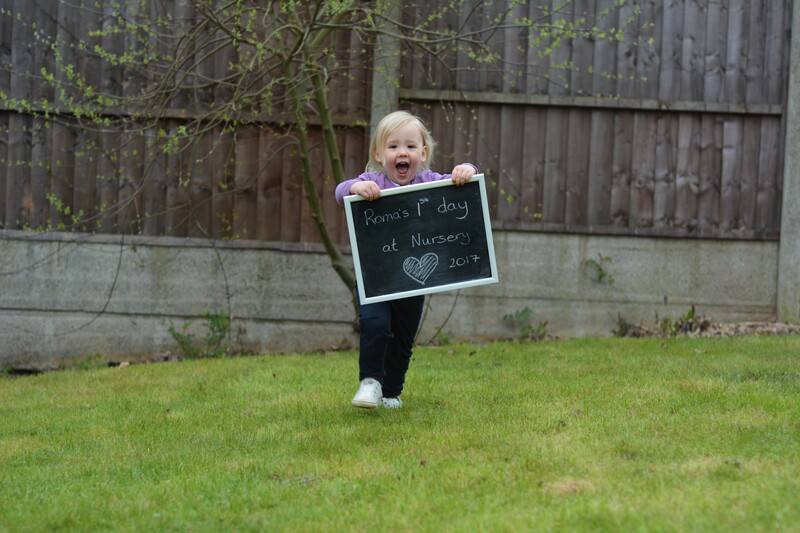 They really do grow so fast but she does just get on with it knowing if her big sister can do it so can she! Ah I love this! What a beautiful video too. 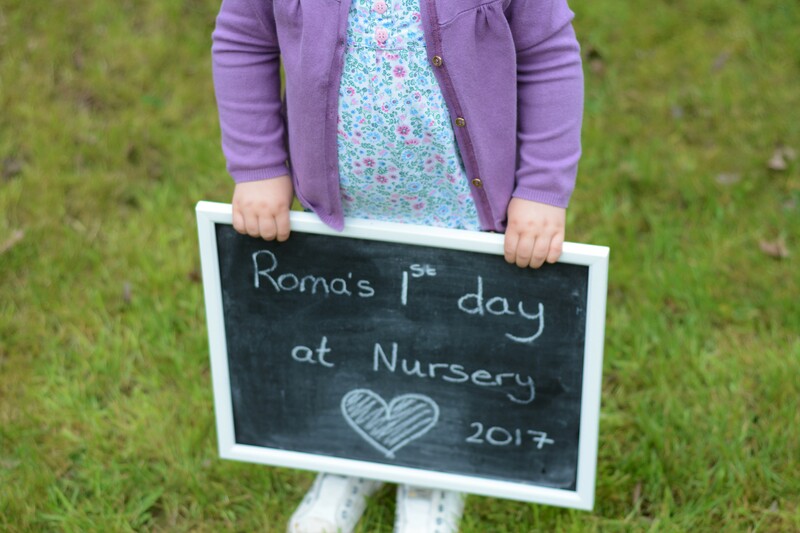 I’ve just watched with Gabriel – who attends nursery with Roma – and he was so excited to see her. Here’s to new friends and being grown up. Thank you so much it’s lovely that she has her little friends there now!